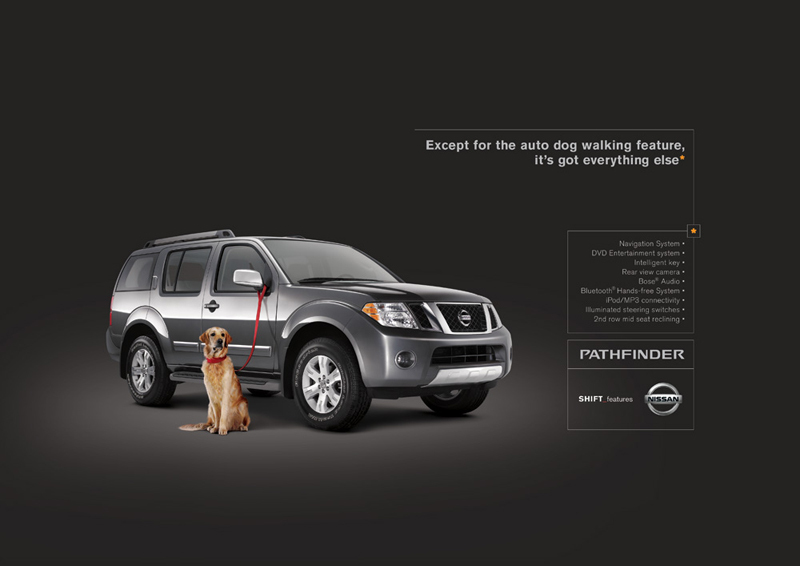 The new Nissan Pathfinder is packed with new amenities. From DVD player and navigation system to iPod AUX input and Bluetooth handsfree system and much more. The client wanted to communicate all these new features in only one medium. A series of print ads that grabbed consumers attention and communicated the message through humorous yet interesting executions. The client wanted to capitalize on the ‘rear view camera’ feature and do some print ads. We convinced the client that a demonstration would be more impactful. Bicycles and shopping carts are often parked or left randomly in parking lots in Dubai. So we placed crushed bicycles and shopping carts around the city to dramatize the absence of rear view cameras as a standard feature in our competitors.